Product prices and availability are accurate as of 2019-04-11 21:15:01 EDT and are subject to change. Any price and availability information displayed on http://www.amazon.com/ at the time of purchase will apply to the purchase of this product. 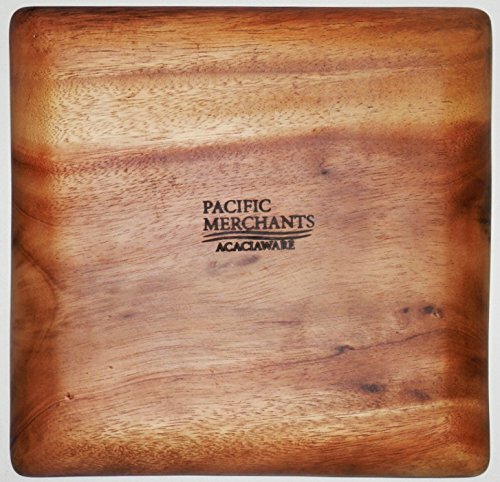 Pacific Merchants genuine Acaciaware is durable beyond the wood's inherent natural beauty. 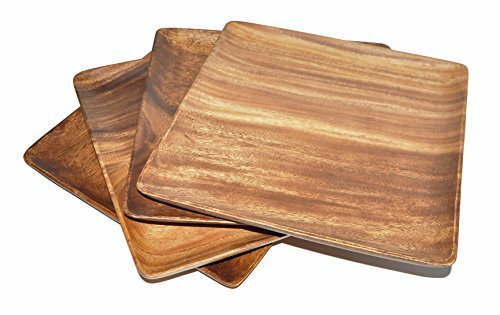 The tight grain of acacia hardwood along with a clear, food-safe finish, which seals the wood, makes these plates resistant to penetration by liquids, and will not stain or obsorb odors. 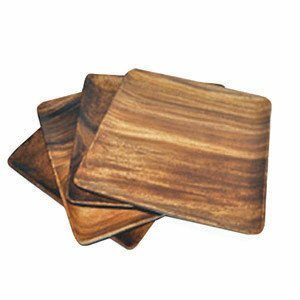 Use our Acaciaware plates for appetizers, desserts, or entrees! Acaciaware serveware sets make beautiful hostess gifts or can be given as a housewarming gift. If for some reason your Acaciaware ever appears dry, treat it with 100% pure mineral oil and the grain will be restored to its original beautiful condition. 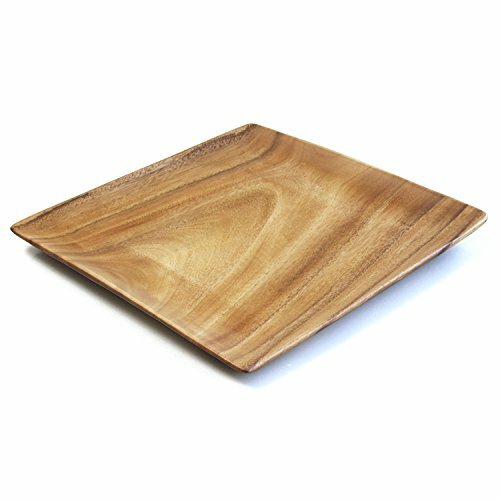 Acaciaware comes in a various shapes and sizes making it easy to create a beautiful serving set. Acaciaware is responsibly forested and our wood is harvested from healthy forests in an environmentally sustainable manner. Caring for your Acaciaware is easy, we recommend hand washing and air drying. Please do not microwave or clean in a dishwasher.